To advance international understanding of Korea and to stimulate original research, the Center publishes an annual scholarly journal, supports a monograph series, cooperates on a international newsletter, and publishes other items of interest to students of Korea. The Center, in cooperation with the University of Hawai'i Press, began publishing an annual scholarly journal titled Korean Studies in 1977. It makes available a broad range of articles in the humanities and social sciences as well as book reviews by scholars of Korea. The journal welcomes all scholarly articles on Korea, but is especially interested in those that reflect leading scholarship in their disciplines but that remain readily understood by those in other fields. In this way, the journal furthers interdisciplinary scholarship on Korea. A cumulative twenty-two-year index to all the articles and book reviews published is available. The Center regularly publishes scholarly books and monographs, either under its own imprint or in cooperation with the University of Hawai'i Press. The above links are reviews and listings of publications and ordering information. A cooperative effort between the Center for Korean Studies and the Association for Asian Studies (AAS), the twice-yearly newsletter serves as an information resource for nearly one thousand Koreanists around the world. 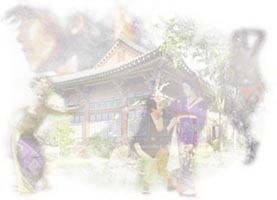 Center for Korean Studies Online maintains an archive of recent issues.